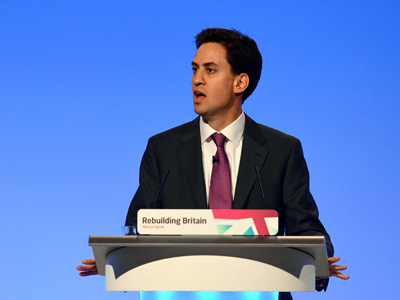 In a stirring speech at the UK Labour Party’s annual conference, leader Ed Milliband blasted the Tories on the NHS, education and the economy, insisting only Labour could make Britain into ‘one nation’. An impressive vision, but which lacked detail. On the economy, one of the most argued about subjects in current UK politics, Milliband accused the Conservatives of turning economic recovery into the longest recession since the war. 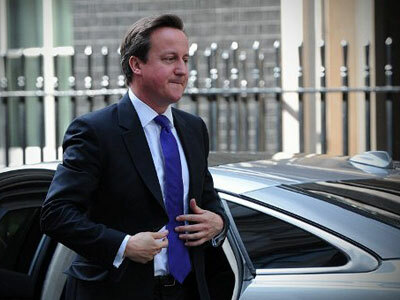 He asserted the conservative policy of austerity was keeping the UK in a recession and Britons out of work. Nothing new about his message here then. He blasted Cameron on borrowing, pointing out that on the one hand he talks about getting the deficit down while in fact borrowing has gone up this year. Millibands answer – keep borrowing, plough that money into the public sector, thereby creating jobs and keep tax revenue flowing into the treasury. He forgot to mention that it was the previous Labour government’s disastrous amount of public borrowing that made the country’s deficit as big as it is. He also attacked Cameron’s plans to cut tax for millionaires, yet the deputy Prime Minister Nick Clegg has demanded an emergency tax on the rich- anyone earning over a million. The plan was announced by Danny Alexander the Treasury Chief Secretary at the Liberal Democrat conference on Sunday.The plan threatens to put further strains on the coalition. Milliband promised to tax the rich saying that “those with the broadest shoulders should pay the biggest burden”, but didn’t say anything more than this. He said repeatedly that only Labour can unite Britain as “one nation”, and that it is the only UK party which can defend the union. Only last election, though, Labour suffered one of the worst results ever in Scotland, with many scots saying they are now out of touch with their needs.The Scottish National Party (SNP), which will hold a referendum for an independent Scotland in two years, is now the most powerful party in Scotland with the most seats in the national parliament. 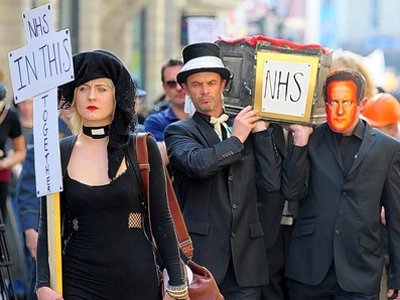 On the NHS Milliband reiterated an ancient Labour war cry that the NHS would never be safe under the Tories. This is perhaps one area where there was real improvement under the last Labour government and already Cameron has slashed nursing staff by 5500. On education, he talked about focusing on “the forgotten 50%”, the 50% of young people who don’t get into university. He talked about introducing a baccalaureate style vocational qualification. But he didn’t say anything about tuition fees, a policy brought in by the last Labour government, which have deterred huge numbers of teenagers from going to university and played into the hands of the Scottish National Party (SNP), who have abolished them in Scotland. Milliband began his speech by saying that he was born into a country of immigrants and continued by paying tribute to multicultural Britain that contributed so much to British glory in the Olympics, yet on immigration policy he was vague. He promised to crack down on shady gang masters in the construction industry and employment agencies who deliberately target cheap immigrant labor. But he didn’t mention how immigration would be reduced or properly managed under a new Labour government. The last Labour government allowed uncontrolled immigration from new EU states after their accession in 2004. Many in the party blame the effects of immigration, including lowering wages and pressure on social services, for the scale of Labour’s defeat in 2010. The speech, which Miilband read with style, completely from memory, went down well with the party faithful, with a standing ovation, laughter and in few cases tears. There is already much talk in the British press of Millibandism, but as of yet no precise definition on what it means.